The blue-collar industry isn’t traditionally seen as a very enterprising field, but it can be. Mark Stoner, the chimney sweeper who became head of a multi-million chimney sweeping business. 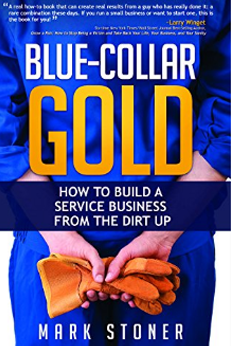 His book “Blue-Collar Gold: How to Build a Service Business from the Dirt Up ” details his incredible “chimney sweeper to millionaire’ story while also sharing the insights and advice that helped him get there.. When most people think of entrepreneurs, they think of white-collar employees. They don’t think of chimneys. Yet, chimneys were the essential ingredient behind Mark Stoner’s rise to million-dollar success. Like others, Stoner didn’t believe a blue-collar job was the path to big success. His trip through the blue-collar industry was supposed to be temporary until he found something “better”. But things didn’t out that way. Blue-Collar Gold: How to Build a Service Business From the Dirt Up is the story of Stoner’s success and the lessons he gained along the way. What is Blue-Collar Gold About? Most people have a negative view of the blue-collar jobs. 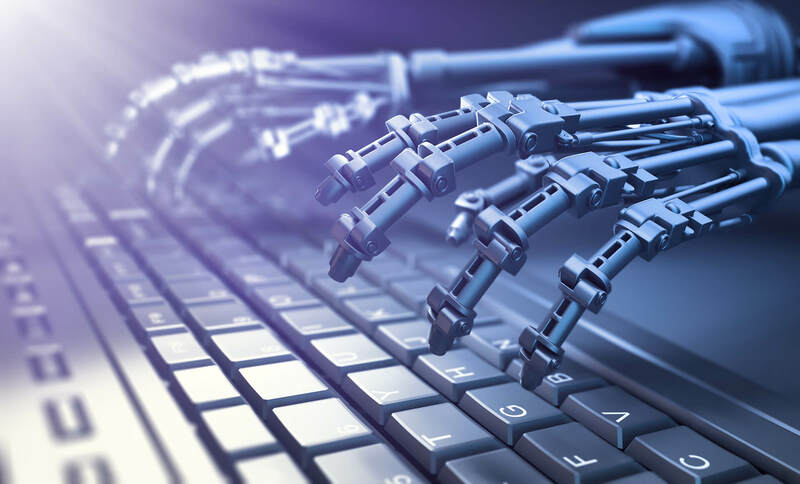 Society today often views them as inferior to white-collar jobs and certainly not the path to a lucrative business career. This bias assumes that blue-collar workers are not entrepreneurial like their white-collar counterparts. Stoner’s own experiences, as depicted in his book, tell a very different story. Before launching the blue collar business that would make him millions, Stoner was a member of a country band that was on the rise. They had won awards, gained a little attention, and were preparing for a deal. Unfortunately, that’s when trouble with the band leader and an ego inflated with success sent the group’s fortunes spiraling. Stoner took the opportunity to dive full-time into a very unusual side gig — that of a chimney sweep. But through a series of unexpected twists and turns, it would also lead to blue-collar gold and make him a millionaire. The process wasn’t a straightforward one. For a long time, he treated his chimney-sweeping like a “job” instead of a profitable business. Then he got seriously injured on the job. It occurred to Stoner he could scale the business and scale he did. He shifted into business growth mode. Stoner obtained more trucks, expanded his service area, and began to grow the business to the point he could step away and still earn income. Blue-Collar Gold contains the lessons on leadership, business development, and marketing that Stoner gained along the way. His core message is that a great potential exists in supposedly blue-collar businesses but entrepreneurs have to be willing to step outside their comfort zone By moving past the “blue-collar” stereotype, entrepreneurs can find new frontiers of opportunity with the same growth potential as the high tech startups you see on television or in magazines. Stoner turned a one-man side gig as a chimney sweep into a multi-million dollar business. He is a speaker, the current president of the Chimney Safety Institute and founder of the Sir Vent Chimney and Venting Service, a franchise that developed out of his expertise in the chimney-sweeping industry. What Was Best About Blue-Collar Gold? Blue-Collar Gold deserves credit for highlighting the business potential in supposedly blue-collar businesses. As Stoner reports (and news reports have declared for years), hundreds of blue-collar jobs go unfulfilled each year. These gaps in the economy are waiting for entrepreneurs and workers to fill them. Blue-Collar Gold also demonstrates how leaders can use theory and practical experience to become better leaders. The book shifts between Stoner’s actual experience and the insights to be gained. This interplay of experience and learning is exactly what entrepreneurs need to advance in their careers. Blue-Collar Gold is better suited for professionals already in blue-collar businesses. While the book offers plenty of helpful tips it lacks critical details prospective blue-collar entrepreneurs need to get started. Some of these details include funding, money management and business planning. Providing these details could help a prospective blue-collar entrepreneur break into a new industry or a current blue-collar business owner refine his or her management skills. Blue-Collar Gold tells an advice-packed, inspirational “rags-to-riches” story to inspire anyone interested in taking a second look at blue-collar business. Stoner also deserves credit for changing the discussion within the blue-collar business world itself. The blue-collar businesses have traditionally emphasized technical skills. Stoner’s journey shows the power of including business development and other “soft skills” into the blue-collar business world with unexpectedly profitable results.